Vertical Farming, it’s a modern way of farming, via growing plants on racks that are then stacked on top of each other and grown under LED lights. The big change in the agriculture industry has been popular for several years now but how far has it come? Well, it looks like it’s finally here. On the outskirts of Melbourne, Frank Donato is transforming his now 1ha herb and vegetable farm and turning it vertical. Vertical farming has a number of great benefits, because it’s all done in a climate-controlled room, the water in the air from the plants and hydroponic system can all be recaptured, and there are no losses to frost or heat. Stepping up and pushing vertical farming into more neighbourhoods is Freight Farms, a US based start-up that’s producing portable farms. Fitting out shipping containers into vertical farms called the Leafy Green Machine, which Freight Farms claim can produce as much as a two acre conventionally farmed area, that’s 25x the productivity of space. The Leafy Green Machines are being used by restaurants to grow the freshest produce right there on site with zero food miles. Going down a similar vein in the inner north of Melbourne; local company Life Cykle has been producing mushrooms for restaurants and cafes out of coffee grounds inside of shipping containers. Collecting the otherwise wasted coffee grounds from their customer's, Life Cykle gives the grounds a new lease on life as a mushroom food source. In Melbourne, Life Cykle have even designed a product for growing mushrooms from coffee grounds in your own home. Home farming and production of food is getting ever more creative, late last year an automated farming robot was created to manage a small plot of land in a backyard doing everything from seeding to weeding. The Farmbot really comes into its own using technology such as water monitoring to ensure the highest yield possible on the small plot. Outdoor growing isn’t the only option though, small indoor vertical and hydroponic gardens are starting to take off too. 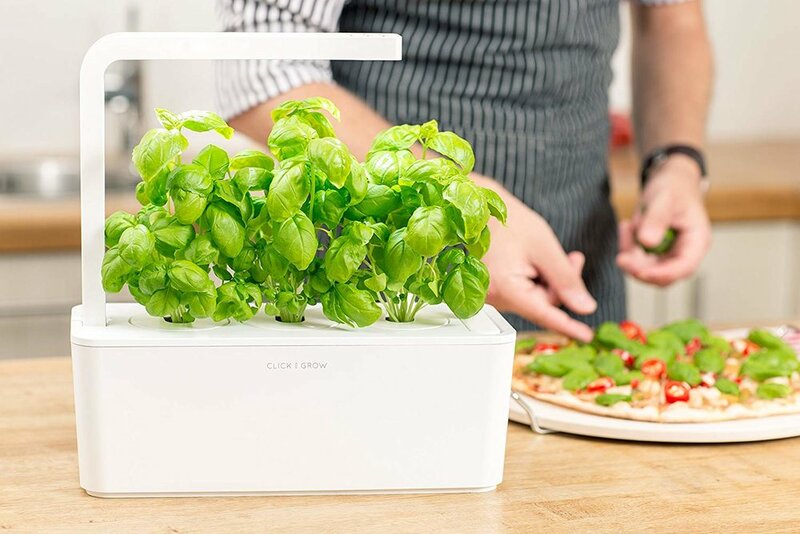 The US based online business, Click and Grow offer a range of “gardens” from small planters designed to look right at home on the bench top to large multilevel “farms” that give you access to fresh food with zero food miles. Even Ikea are jumping on board releasing a hydro garden kit for the UK and using their innovation lab to test out an all out multi-level vertical garden to be integrated into a smart home setup. Back at home in Melbourne a start-up called Urban Green Farm has gone a step beyond hydroponics and developed a benchtop aquaponic product. Aquaponics is a closed loop nutrient system that uses the waste produced by fish to fertilize the plants, providing fish and plant life as food while reducing waste. Although at the home scale it’s a bit ambitious to farm fish until they are large enough to eat especially if you’re like me and can hardly keep a goldfish alive let alone a full-sized trout or tilapia. The recent boom in vertical farming and hydroponics has seen inspiring development, it will be exciting to see more integration with this unconventional farming into our everyday lives in the future. I’m excited for what we are going to see next, If you’ve got any Industrial design interests don’t hesitate to get in contact with us at hone product design Melbourne, 9939 8880 .